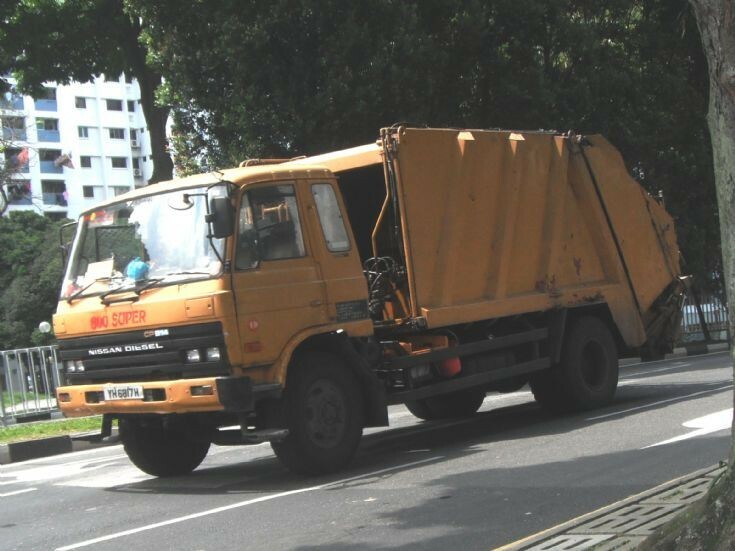 A medium duty old Nissan Diesel UD Condor CPB14 series refuse garbage truck from 800 Super Waste Management Pte Ltd is spotted here travelling along Admiralty Road off Woodlands New Town in Singapore. It has just left from an incineration plant and is making another trip to collect rubbish from various locations islandwide. This is the same truck from picture #5942. Photo taken in May 2011.